Trumpeter Johnny Coles, a distinctive and passionate player best known for his associations with Gil Evans, the remarkable Charles Mingus Quintet of 1964, and Herbie Hancock's late 60's Sextet, led relatively few albums of his own, and only two before 1982. 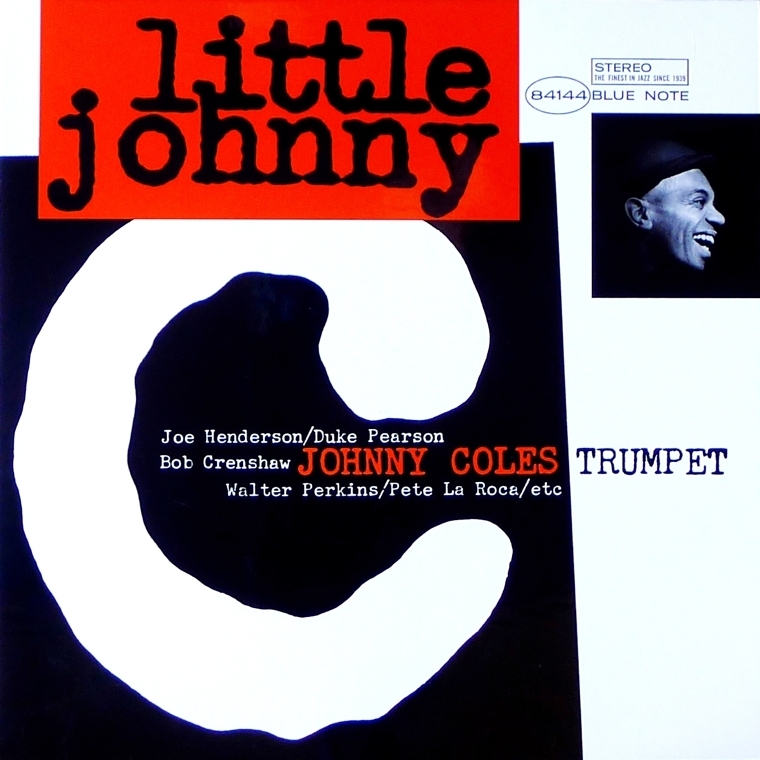 Recorded in 1963, Little Johnny C is universally recognized as Johnny Coles' finest recording. Cole's soulful trumpet is heard in superb form as he pushes the hard bop mainstream forward. Duke Pearson, who was both a very skilled pianist, as well as one of the top arrangers of the 1960s, contributes five very fresh originals to the set. Notably, Little Johnny C is also one of tenor saxophonist Joe Henderson's finest early recordings – his round sound and innovative phrasing clearly evident at this early point in his career. With the superb title cut, the ballad "So Sweet My Little Girl", and "Jano" being high-points, in addition to beautiful flute and alto solos contributed by Leo Wright, "Little Johnny C" is an masterful album by an artist at his creative peak. This is a set to be savored again and again. See more Johnny Coles records here.